Aspen Jewel Box owner Sarah Hunt has found a secret for success: her intimate, uncluttered boutique, offers unusual yet sophisticated contemporary designs. 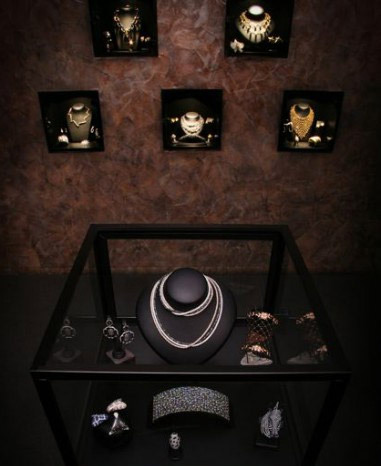 Hunt’s clients; from the outside, gem-loving window shoppers can peek directly into the store’s glass displays. From the inside; customers can watch as snow falls around them—creating a picture-perfect snow globe effect; an inviting atmosphere free from the intimidation that can dampen the shopping experience. 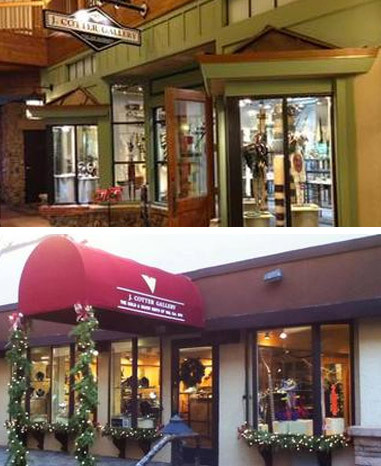 Two locations owned by Jim Cotter. 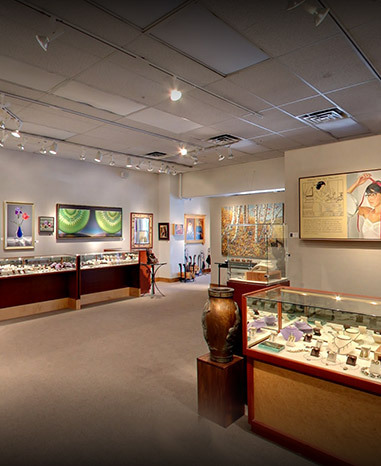 The J. Cotter Gallery is an internationally recognized gallery of contemporary designer jewelry, featuring designs by leading artists from the United States and Europe. Opening in 1970 with the premise that jewelry should be considered an art form, I have established a strong clientele who share my feeling that jewelry is a silent form of communication which speaks of the wearer’s individual taste. 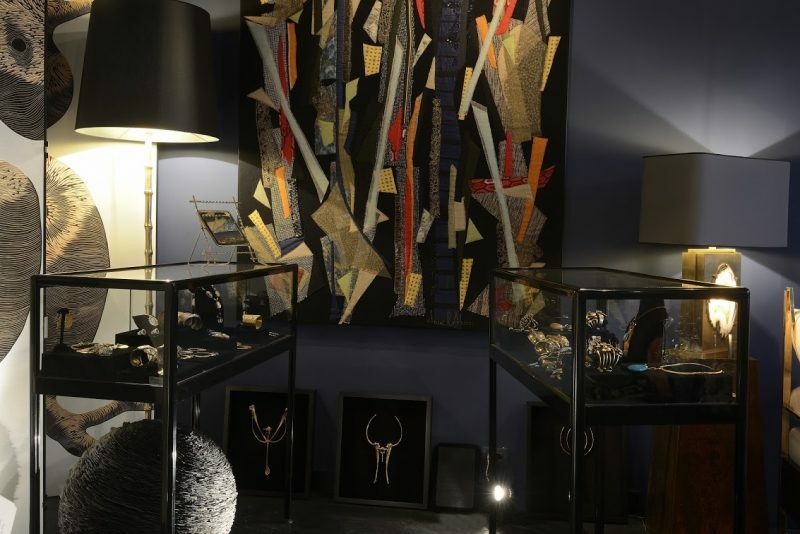 Perhaps the most important element contributing to J. Cotter Gallery’s success over the years is the quality of designers whose work is on display. I seek jewelry that has a strong and mature presence, where the designers have developed their own vocabulary and the work is distinctive. More than just a jewelry store, Jensen Stern is an active social hub, a gallery and a lounge, a destination point where passions are shared and ideas are exchanged. Jensen Stern is perhaps the only retailer of its kind where one escapes the daily routine to relax instead in a welcoming and stimulative atmosphere. The conversation is lively and always inspired, improvising and moving with a humor and an ease unusual for a jewelry store. After all, a jeweler, distilled to the essence of its Medieval meaning, sells not only adornment, but encourages the very idea of play. For 35 years, Ladyﬁngers has been recognized as a destination for presenting internationally recognized designers, icons of the jewelry world, many of whom have work in major collections and museums world wide. Steve and Elaine together with their expertly trained staff are dedicated to providing a pleasant environment for their clients as well as the best possible customer service. Glenn’s passion is that of a Gem Explorer, seeking out the finest gems in the world. 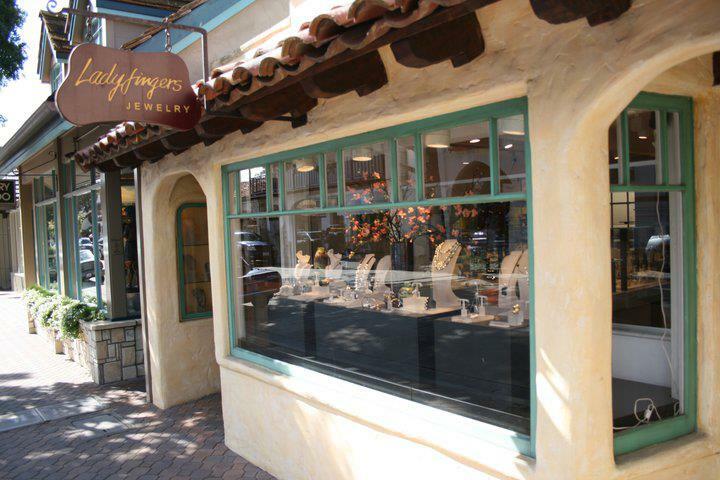 Located in the charming Upper Village of Montecito, we are committed to displaying the uniqueness of each jewel and artist we represent. 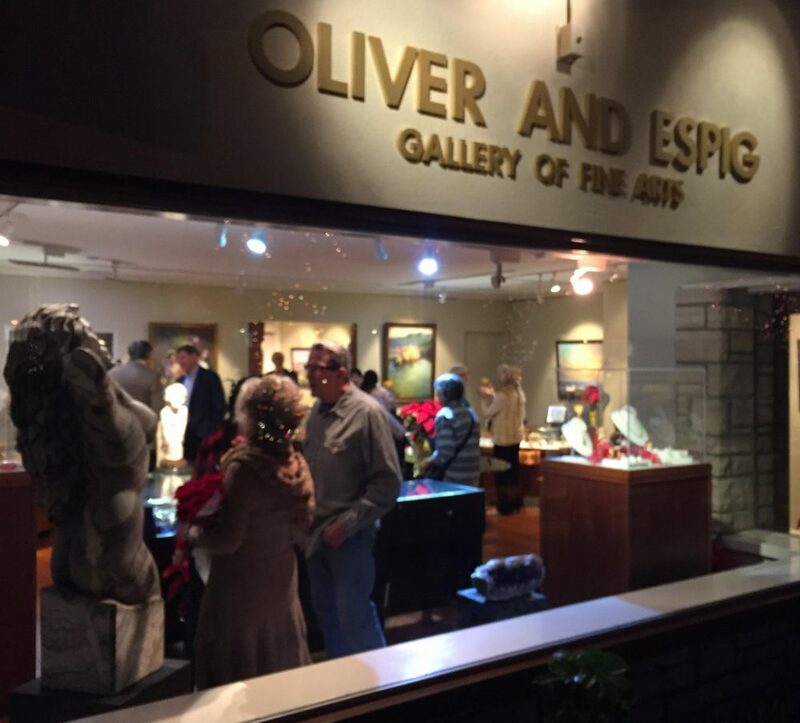 Renowned for our spectacular collection of rare gemstones and award winning jewelry, Oliver and Espig Gallery also features a variety of unique and collectible paintings, sculpture and Alex & Lee wearable art. 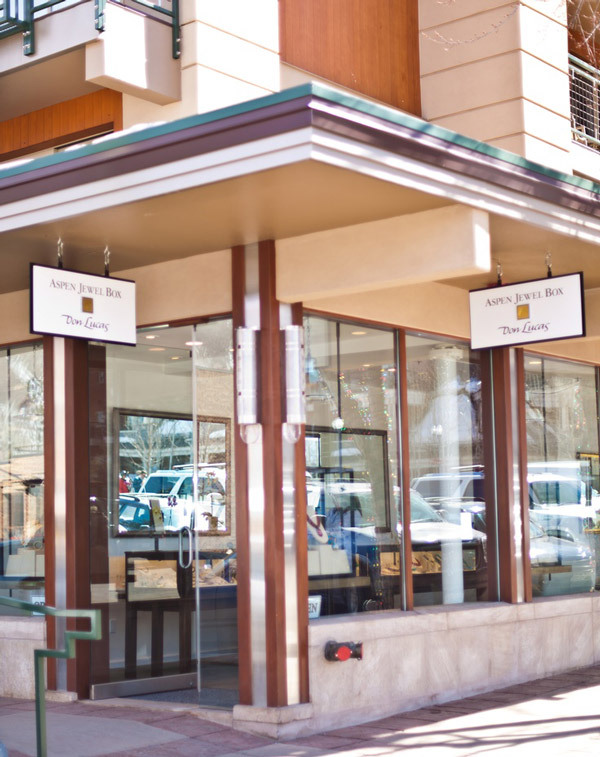 “Local artisan crafts.” We represent contemporary studio jewelers of national prominence. We strive for a wonderful mix of jewelry. 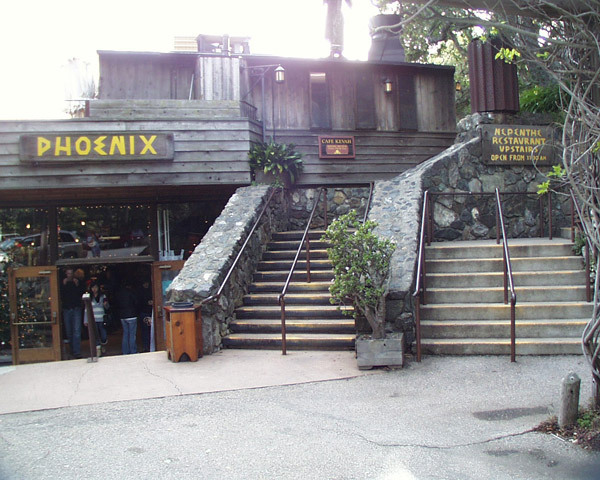 When Lolly Fassett founded the Phoenix Shop, she wanted it to represent the creativity of people from around the world as well as local artisans. She felt that when people come to this beautiful place, their minds and hearts are opened by the stunning natural environment. Visitors would be open to new ideas and delighted to experience unique items from different cultures. Gallery on Palace just a skip from the plaza downtown, featuring the jewelry designs of Michael Sugarman and Christie Frantz. Dedicated to presenting unique pieces from local and abroad artists.